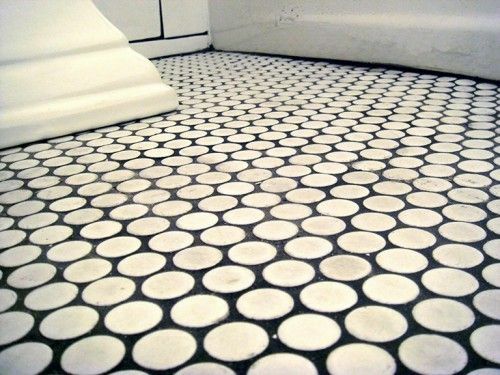 Design Tips: Penny Rounds are perfect and more commonly used for a shower floor. 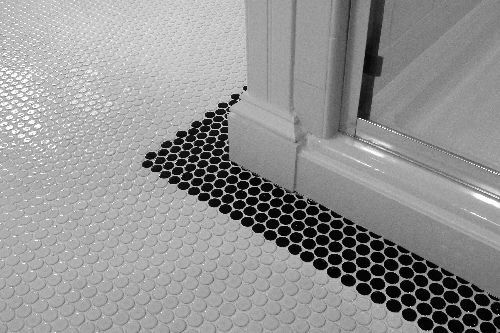 They bring a bright sense of character to a space. 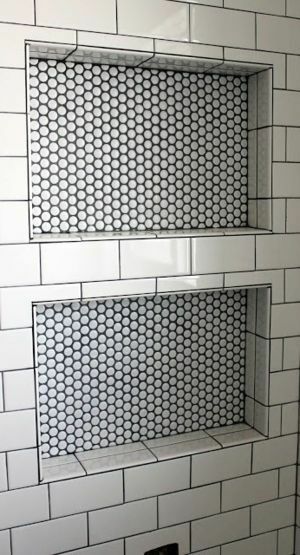 Scroll to see them used in a laundry room as well. 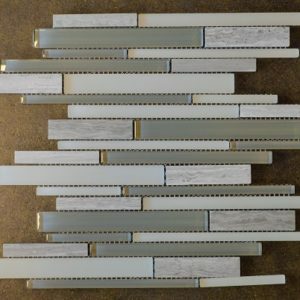 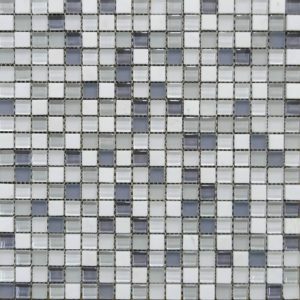 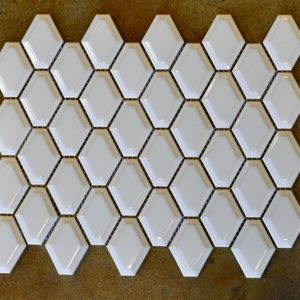 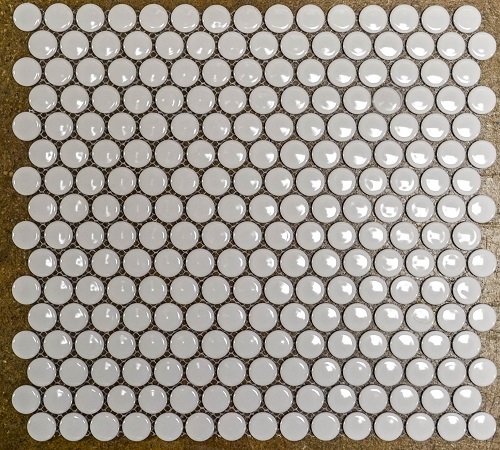 A mosaic sheet of white glazed, gloss, penny sized and shaped circles in wall and floor rated porcelain.